Playing Mahjong > is an easy task as it is played with 144 tiles, small rectangular blocks of wood or ivory with a face showing a variety of characters and designs. There are 108 suit tiles (bamboo, circles, and characters), 28 honor titles (winds and dragons), along with 8 flower tiles. The game is well known under a large number of alternate names, including Mahjong, Man Chu, Mah Diao, Ma Chong, Mah Chong, Ma Chiao, Mo Tsiah, Ma Chiang, Ma Cheuk, Ma Jong, Pung Chow, Ching Chong, Kong Chow, Mah Deuck, Mah Cheuk, Ma Chiang, Pe Ling, Lung Chan, Mah Lowe, Baak Ling, and more. 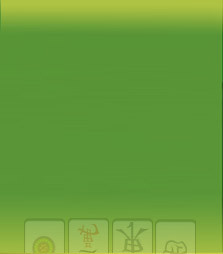 Playing Mahjong "in computer versions", has two principal ways: traditional and solitaire. The traditional game is played with four players, while the solitaire game is played by means of one, and consists completely of matching tiles from various layouts.